Although the wives of the Prophet are held up as examples for Muslim women to follow, little is told about the human beings behind the women on pedestals. We all get told the same stuff—how Khadija supported her husband, Aisha’s work as a jurist and teacher—but the discourse focuses on their actions, not their persons. Tamam Kahn’s Untold aims to tell the human stories of the Prophet’s wives—and succeeds. In the preface of the book, Kahn touches on her intentions: upon meeting strong Muslim women in Morocco, she wanted to tell the stories of strong women, including the back story. Indeed, what makes for a strong woman isn’t just her praiseworthy behavior, but also her imperfections, her humanity. The format of the book is not like traditional biographies; it mixes original poetry and prose interlaced with history, a style which makes for an easier read than a straight-up biographical narrative. Unlike other works on the subject of the Prophet’s wives, the way Kahn tells the story, at the crossroads between history and fantasy, social science and fiction, Untold can appeal to more than “just Muslims.” It is a wonderfully uplifting, spiritual read. Aisha, far from the platitudes of your Dar-ul-Big-Beard textbook, is described as a “both naive and wise,” and a “formidable foe” due to her “vigilance” and her “uneasiness at sharing her husband.” Khadija’s story is also reframed: instead of “just” being the woman who dropped everything to support Muhammad, she is painted as the cornerstone of his work. "…She is part of all that is vivid in that landscape of dusty earth…the sustaining date fruit…She is the underground river beneath desert palm trees and gardens.” The stories of the Prophet’s wives aren’t the only ones in Untold. Sections are dedicated to the humanity and strength of his daughters, as well. 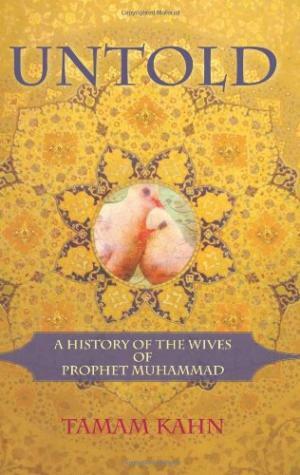 Untold’s framing of the stories of the Prophet’s wives cast them in a new light. Instead of being untouchable examples for humankind, they become women we mere Muslims can relate to and emulate in all their humanity. The place of women in Islam is often talked about, but the stories of Muslim women themselves, less so. Untold fills a void in popular culture and helps to re-frame the role of Muslim women in narratives about them.